Rebecca Cole is a professional chef. American-born and trained in Spain, she has been cooking since she could reach the stove. In addition to graduating from the Escuela de Restauración y Hostelería in Barcelona, Rebecca has worked in several restaurants and catering services in the United States and Spain. Rebecca also has a Masters Degree in Food Studies from New York University and worked as a cookbook editor in New York City. She believes in cooking with seasonal organic ingredients to create delectable and healthy food for her clients. DINNER PARTIES. Entertain your guests with a seated or buffet-style dinner party in the comfort of your own home. I will meet with you to design a special menu for your event, prepare the feast in your kitchen so that your home is filled with delicious aromas. Of course, your kitchen will be left sparkling clean! Seated dinners are limited to 14 people; buffets of up to 50 guests are possible. Additional services, such as servers, bartenders, music, flowers, etc. can be arranged upon request. COCKTAIL PARTIES. Celebrate in style with a cocktail party in your home, garden, or office. After a free consultation, I will create a menu for your approval. On the day of the event, everything will be prepared on the premises and presented beautifully. This service is possible for up to 50 guests. 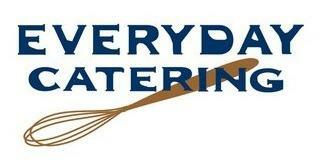 Additional services, such as servers, bartenders, music, flowers, etc. can be arranged upon request. ROMANTIC DINNERS FOR TWO. The perfect gift for your special someone or your favorite couple. We will create a romantic evening complete with a three-course meal, wine, flowers, and of course, a sparkling-clean kitchen when dinner is over! ANY SPECIAL OCCASION. 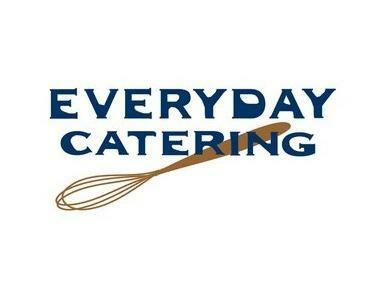 Catering services are available for any event you have in mind. Children's birthday parties, baby and bridal showers, open houses, and interactive cooking parties are just the beginning!